Staff was amazing! Made the torturous process of leasing a car so easy (was our last stop of many and the only dealership that didn't leave us totally frustrated). Bernie was great, is laid back and not pushy at all, lets you 'discover' the car for yourself before answering any questions and explaining all the features so it doesn't come off as a sales pitch. He even walked us through the process of getting all our paperwork straight with registration, license, etc. After the deal was done, the manager came and introduced himself and thanked us, there was no back and forth in negotiations and haggling, it was just totally stress free. I still contact Bernie now and again with questions and he's quick to respond even though his sale is done. Very impressed. Breath of fresh air when car buying. Bernie was easy, straight forward, and incredibly knowledgeable and helpful in the details of the entire process. The whole staff made the experience smooth and stress-free, unlike other dealerships we visited. Their great services doesn't just end when you drive off the lot either, they will literally go the extra mile to make you as happy as possible with your decision to choose Land Rover Wilmington. Great service department and attention to detail. I've had nothing but great experiences everytime I either stop in or call this dealership!! 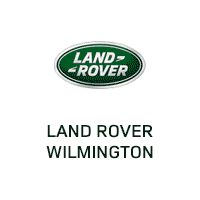 If you are in the market for a Land Rover/Range Rover I would recommended Land Rover Wilmington! !